The one consistent thing we’ve noticed in our Roadtreking travels this year is how many new RVers we are encountering out there. Those campers are younger and younger. In KOA’s 2017 North American Camping Report, the company sayid millennials and Generation Xers now make up 72 percent of the 75 million households in U.S. that are regular campers. Where we have most seen it is in the places we go boondocking. We used to never have a problem finding a spot, let alone have neighbors as we retreated deep into the woods or on Bureau of Land Management properties. Now, we usually always have neighbors and sometimes actually find all the good spots taken. There’s growth. Growth in population. Growth in wealth. And there’s reductions in costs for the conveniences in modern RV’s and camping equipment. This one gets into different strokes for different folks. 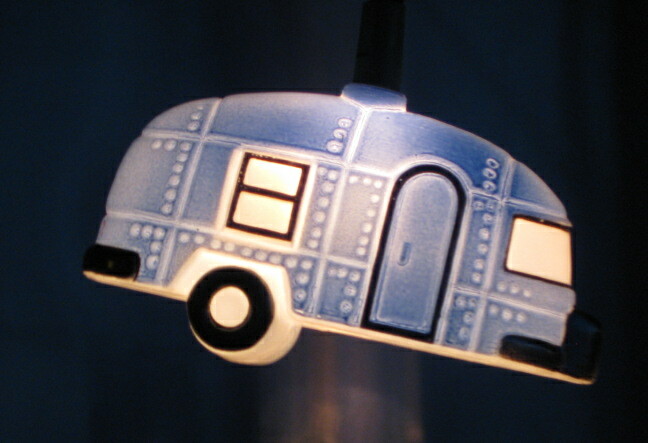 The example is something to think about in terms of how culture is changing and why people own an Airstream RV. What seems to be a new trend is a rally parallel parking on a busy city thoroughfare for a show and tell. See Capi Lynn: Oregon has the third-largest Airstream club in the nation. Twenty members are expected to set up camp on Main Street for Friday and Saturday nights in what they hope will be the first of many urban rallies the club holds in the future in small towns across Oregon. “Our goal is to bring people to the downtown and spread the joy of camping and Airstreams,” said Kathy Ellis-Kelemen, a club member in Salem. There is some dissonance here. Bring people downtown to spread the joy of camping? Is a fancy RV the essence of camping or, perhaps, is it the plastic bag a homeless person is using for his downtown camping? This is group stealth camping disguised as an RV trade show (see the RVIA calendar). It seems more about glamping rather than camping as the idea of putting one’s RV up for display on a public street seems it would create many barriers to actually using that RV for a few days. This is like those shows about prepping houses for sale and how the requirements for a good sales show disrupts using the house for living. The RV does fit right into the modern fad for tiny houses, though. to afford opportunities for outdoor fraternization of recreational vehicle owners; to encourage safe driving and assist in improving the general welfare of the recreational vehicle public through assistance and active participation of all its members in building a strong organization for the betterment of good will toward recreational vehicle travel; to coordinate the interest and activities of its Regions and Units; to cooperate with other organizations within its sphere of interest which are seeking to elevate the standards and ethics of the various groups; to disseminate information of an advisory and educational nature which will be of value to its members and the public; to study, advise and recommend legislation in the interest of the recreational vehicle public and to oppose all legislation which is discriminatory and injurious to the recreational vehicle public and to encourage government and private agencies to provide more and better recreational vehicle parks and facilities. The connections seem weak but then WBCCI members have shown little proclivity in recent years for introspection and discussion about their club behavior, values, and identity. As the weekend approaches, the forecast at the Crocker Campground for afternoon temperatures keeps going up. Saturday is now forecast for a high of 92. That is causing those planning on attending to rethink their weekend as that gets into the very uncomfortable to even health hazardous temperatures for them due to existing health problems and age. The nearby RV parks report being full up for the weekend but Crocker Campground is likely to be short of Airstream RV’s. Of course, most of the RV’s have air conditioners and the MoHo’s usually have a genset installed. This would make it possible to provide a cool down in the heat of the day. The noise and bother of Air Conditioning and the need to hunker down in the RV all afternoon aren’t reasons why the SNU planned a rally at Crocker, though. Hirsch noted there are many factors involved in why seniors are so vulnerable in hot weather. Some individuals have health problems, such as heart disease, that make it more difficult for the body to circulate blood properly and dissipate heat. Others are on medications, like diuretics (water pills), that cause water loss and worsen the dehydrating effects of high temperatures. Obese individuals have an especially hard time keeping cool. There are other concerns. Keeping pets cool and safe is a big one. Travel is going to put a special emphasis on preparation. Make sure that tire pressures are at max sidewall for the trailer and also for the tow vehicle and keep the running speeds down. Check all fluids and systems to make sure they are where they need to be and are working properly. Keep in mind that a trailer is likely to get rather warm going down the road and that there is a lot of stress on the refrigerator. Many of the supplies you carry from batteries to food do not do well in the heat and may need special protection from the heat. If you do a I’net search for “heatwave health” you’ll likely find a lot of the climate alarmists assuming that the current heat wave is a portent of their vision of doom and gloom. It isn’t. It is normal to get heat waves in the summer. The record set yesterday in Reno was only three degrees above the previous record set in 1940 and just tied the overall June Reno record. In 1940, Reno was a much smaller city and the weather station was not in the middle of a big airport with huge concrete runways. This is called the urban heat island effect. Be safe. Take care. Avoid unnecessary risks. Project Gutenberg has 100 Desert Wildflowers in Natural Color by Natt Noyes Dodge. When Webster defined a desert as a “dry, barren region, largely treeless and sandy” he was not thinking of the 50,000 square mile Great American Desert of the southwestern United States and northern Mexico. Most of it is usually dry and parts may be sandy, but as a whole, it is far from barren and treeless. Heavily vegetated with gray-green shrubs, small but robust trees, pygmy forests of grotesque cactuses and stiff-leaved yuccas, and myriads of herbaceous plants, the desert, following rainy periods, covers itself with a blanket of delicate, fragrant wildflowers. Edmund C. Jaegar, author of several books on deserts, reports that the California deserts alone support more than 700 species of flowering plants. You can either browse the book online – in color! – or download it to read in your eBook device. For this book, you really need a color display. Skillet is wondering: Is Trader Joe’s Pour-Over Bag the Ultimate in Coffee Convenience? — “The concept is simple: you just twist off the tip of the spout and open the top of the bag, pour hot water in up to the fill line, let it sit for four minutes, and pour the coffee into cups.” Amazon has a pack of six for $18 – that’s about $3 per typical coffee mug. Convenience has its price but this isn’t your every day cuppa’joe, either. Fit RV blog – check it out. A fitness educator and an aerospace engineer whose starter RV was to avoid the Porta-Potty line at the start of bicycle races. They are currently in a Winnebago Travato class B built on a ProMaster van. They run a YouTube channel and a website with the major headers being BLOG, FIT TIPS, WORKOUTS, RECIPES, 5K CHALLENGE!, RV TIPS, RV REVIEWS, RV PARK REVIEWS, and ABOUT US. One item of current interest is the description of how they dumped the genset and went to a big (420 AH) LiFe battery, auxiliary engine alternator, upgraded solar system, and 3 kW inverter. The battery looks to be an 8D sized at 125 pounds for 5 kwH energy capacity and an internal battery management system. The source, Lithionics, talks about Lithium Ion but the voltages specified make it clear that it is Lithium Iron. A lead acid 8D weighs about 130 lb and stores about 2200 Wh. The company’s assertion that its Lithium batteries provide a 4:1 capacity weight advantage does sound about right. The ideas about fitness are also a good source for feeling healthy on the road. It is Well written and produced with good information and an interesting presentation. Check it out: both the YouTube channel and the website. Between this and the capabilities of a modern copy shop — maybe Eric Larson’s new shop (see the December 2016 SNU newsletter) – you can get some classy decoration for your RV! It has become ever less expensive to reach out to others. Email and telephone are now nearly free and the robots can roll through telephone numbers and address lists with ease. That means the scammers have a wide field to play in. You aren’t even safe out in the boonies any more as cell phone coverage spreads and remote state parks start to feature Wifi. Katherine Rodriguez describes one: ‘Can You Hear Me?’ Phone Scam Has Police Warning People to Hang Up Immediately. Police say answering the question “Can you hear me?” over the phone from an unknown caller can have serious consequences thanks to a new scam that is making the rounds in several states. Police urge those who do get caught in a scam to hang up the phone and call 911 instead. I am not so sure about calling 911 as non-emergency (not threatening life or property) calls should go to the routine dispatch number but 911 is easier to remember. Here’s the Federal Trade Commission page on phone scams. A search for Washoe County Sheriff scam report finds don’t be a victim. Anyone who has been a victim of this scam, or who receives such a call, is encouraged to take down as much information as possible, such as a name and call back number, without giving any information away. Then, immediately contact the Washoe County Sheriff’s Office at (775) 328-3001. Verizon has a rundown on What are Robocalls? Robocalls are phone calls with prerecorded messages. These calls have increased in recent years because technology has made it cheap and easy for robocallers to make calls from anywhere in the world while hiding their identities by displaying fake Caller ID information. To Learn More visit the Federal Trade Commission (FTC) or the Federal Communications Commission (FCC). All calls with prerecorded telemarketing sales messages are illegal unless you agreed to be called. Some non-marketing robocalls (such as political and charitable calls to wireline telephones) are authorized by law in most states, even if they are unwanted. Older Americans are targeted for fraud because they are the mostly likely demographic to have money in savings, own their home, and have excellent credit… all of which a fraudster will attempt to take advantage of. Also, seniors are less likely to report fraud. The Nevada Senior Guide also has Tips for Staying Safe As a Senior Citizen by Mark Mahaffey. Financial crimes are devastating for anyone, but especially so for senior citizens. They not only feel afraid, but may begin to question their own ability to handle their own affairs. For an aging person already trying to hold on to independence as long as possible, this can be emotionally terrifying. Caretakers and family members are often wrongfully accused of abusing elderly people in Nevada. These false allegations may stem from simple misunderstandings, innocent accidents or legitimate self-defense. But a conviction carries devastating penalties and mars the accuseds’ records, causing prospective employers not to consider them for jobs. It’s a wide world out there and there are people from kids playing with fire to bone fide experienced criminals trying every door and window to find an opportunity for mischief. The small disposable propane bottles are useful for catalytic heaters, camp stoves, lanterns, and other portable propane powered camp equipment. They are a much more expensive way to get propane compared to the big tanks on your RV feeding the built in appliances. That is why there is a lot of interest about ways to refill the small disposable bottles. WheeliePete has a YouTube video, NO Pre-Chilling! FULLY Refill a 1lb Propane Bottle (Avoid 600%+ Markup on Propane) Coleman, that is one of the better of its type. Do take his caveats and precautions to heart. These range from potential legal issues to the general hazards of doing things with combustible gases under pressure. Dan Fink has a good discussion on Choosing Your Off-Grid Refrigerator in HomePower Issue #176, November / December 2016. He describes the specialty refrigerators before he gets to the “conventional fridges.” The conventional refrigerators are getting to be quite energy efficient and the economies of scale can make them rather cost effective. Also note the comments about chest type freezers. These can also be had rather inexpensively but may need an external thermostat for refrigerator use. Also note the Colorado commenter who described his need to remove perishables from the freezer in the winter. That sort of problem could also be addresses by a separate freezer. Advances in solar systems and batteries put ‘conventional refrigerators’ as a distinct possible option for RV’s. They don’t suffer altitude problems like many RV propane refrigerators do, they will chill down much faster, and can offer other advantages. The energy needs don’t seem to be influenced by size much. Big or little, a standard fridge seems to need about a kiloWatt hour per day of energy. That means a minimum base system of 2 lead acid batteries and 200 watts solar. Dan gets into a lot of the issues and considerations on this topic. That helps to understand just what is involved and what to consider. PotPourri: Updates and other stuff. A link to a special report about mobility issues. Doin’ the winter thang? See the page on preparing for winter. You can find links to the update to the Bower’s Mansion photo gallery in the Destinations page for Washoe County and the Education History page. There’s a ‘72 International Sovereign added to Show’nTell. 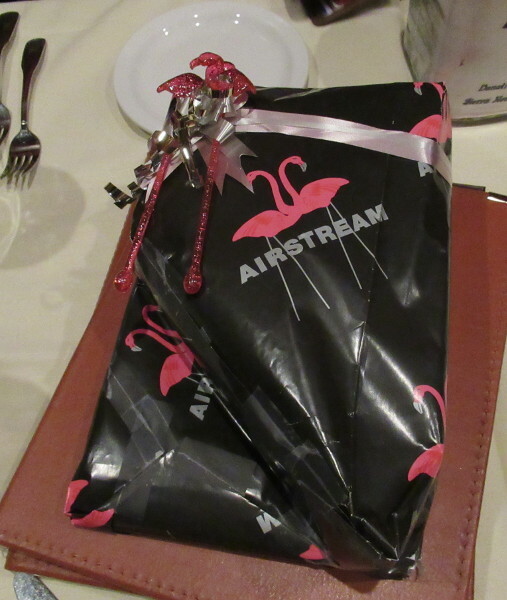 For happy Airstreamer’s gathering to discuss their favorite hobby see the group shots gallery. 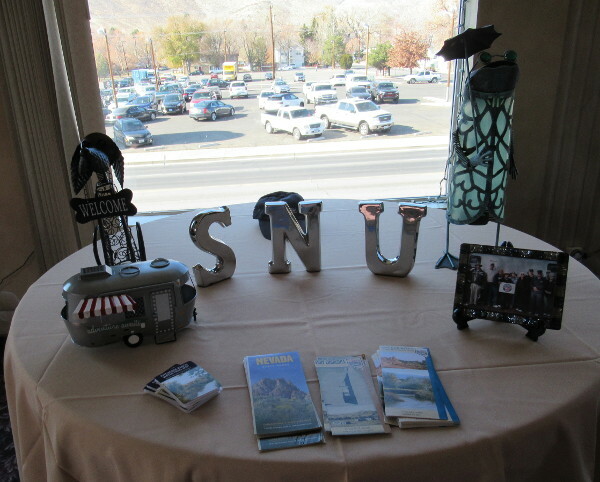 There’s also the Dale & Virginia SNU memories photo gallery for a bit more detail on this topic. Then there’s the Traveling with Pets photo gallery, too, for yet another take. This was a year for wheel bearings and the Owner’s Guide Maintaining section covers winterizing and other topics as well. Karen sent this link to Truck Camper Magazine about the conflict between the mobile lifestyle and the mobility issues we face as we get older. Truck Camper Magazine examines the importance of mobility in current and future truck camper design. With 85 million Baby Boomers in the USA and Canada, this topic requires more industry attention. … To be clear, many truck camper owners have yet to experience these symptoms, or haven’t been slowed down by them yet. However, they are thinking about this eventuality, a concern often triggered by caring for their elderly parents. Perhaps the most obvious sign that mobility is a priority for truck camper owners is the sheer quantity of mobility-focused modifications submitted to our monthly mod contests. It’s routine to have improved camper step systems, deep bumper set-ups, comfort-improving dinette re-configurations, and even cabover assist handles submitted for the contests. Perhaps an even bigger tip is that these mobility modifications earn a lot of votes, and have won multiple times. Truck campers are a particular challenge in that they are usually well off the ground and on the very small side for RV’s. Trailers tend to get people thinking about motorhomes due to difficulties in managing the hitch. Motorhomes can be large but they usually need a lot of stairs to get up to floor level. Age isn’t the only issue, either. People tend to be larger now they they used to be. That means there is more of a need for extra headroom as well as toilets with higher seats and other accommodations for taller, wider, and heavier – and even more active – people. What about the RV experience and the community? Bill Kristol has a conversation with Justice Clarence Thomas: Personal reflections on the Court, his jurisprudence, and his education. Near the end of the conversation (at 1:05:30), Justice Thomas mentions that has been a “motorhomer” for 17 years and notes that “there is a wonder out here” with people who share a common experience. It “keeps you normal” he says to get out with others who share his interest in the RV experience. “You’re with the rest of your country rather than isolated from it” he says. That is the other part of the RV experience. It is not only to experience the land first hand but also to share that experience with others. That builds relationships and friendships and community. The conversation also provides some insight into growing up Black in the south after WW II. The story is an example of just how much is possible. Worth listening to. Thinking of buying? Watch out. When I put a 26′ Argosy up on Craig’s List not too long ago, I was rather surprised by the scam warning – and by the advice to go cash only as even cashier’s checks can bounce (see nerdwallet). Sure enough, more than half the inquiries I got from the ad fit the Craig’s List warning profile. But that isn’t the half of it. Steve Lehto, an attorney in Michigan, says on YouTube Don’t Drive While In Possession Of Cash!. His 18 minute video is about civil asset forfeiture. If you get stopped by a guy with a flashing light, gun, and uniform (law enforcement officer) for some reason or other and he sees you have a good chunk of cash, he can take your cash on the pretext that it was ill gotten gains. You have to sue to get it back and that can be time consuming and costly. As with a lot of things, the risk may be rather small but it needs attention. Lehto provides an explanation about why it should be a concern. However, just because funds are available on a check you’ve deposited doesn’t mean the check is good. It’s best not to rely on money from any type of check (cashier, business or personal check, or money order) unless you know and trust the person you’re dealing with or, better yet — until the bank confirms that the check has cleared. Forgeries can take weeks to be discovered and untangled. The bottom line is that until the bank confirms that the funds from the check have been deposited into your account, you are responsible for any funds you withdraw against that check. So what do you do? The FTC site has a list of ways to protect yourself and some other good information. OK. That’s the money side. How about the product side? Lehto has some good videos about purchasing used vehicles, warranties, and the various issues that can be encountered. Caveat Emptor! It pays to know what you are doing. A friend can help, especially one with the experience necessary to check for condition of the mechanical parts and who knows what is important and what is less so. A friend can also help balance out the emotional side of things, too. You also need to know values and that should come from the ‘blue book’ sources as well as from watching actual sales and examining advertisements and from web sites that provide value information that shows how condition, age, and features all impact price. Then there’s the DMV. In Nevada, it used to be the big problem was just getting the owner’s signature in the right box on the back of the title. Now it’s a case of having to download forms from the DMV website and making sure they are all filled out properly. That Argosy was titled in the name of the family trust and that now requires a notarized trustee signature for a vehicle sale. Things are getting complicated. Take care. Preparedness Advice talks about Foods Carried on the Oregon Trail that provides an interesting comparison for the modern traveler. The Oregon Trail was an exhausting, sometimes treacherous, 2,000-mile journey that connected the Missouri River to valleys in Oregon and locations in between. Over half a million stalwart souls were brave enough to leave the relative comfort of civilization at that time and venture off into strange and unknown lands. We know a surprising amount of the Oregon Trail experience because so many travelers wrote journals, sent letters home, and even wrote books and newspaper articles. True Accounts of Life in a Covered Wagon and Ox-Team Days on the Oregon Trail are vivid, first-person accounts of this harrowing journey. Most of these pioneers traveled by covered wagons, which were pulled by oxen and horses. Those wagons carried not only passengers and a few personal belongings, but over 1000 pounds of food! They were hoping to add to those food stores with hunting, fishing, and foraging, but none of that was guaranteed, so they had to give careful consideration to the most essential food items. The journey from beginning to end took from 4 to 6 months. When you think about how much food your family consumes in that time frame, it’s a lot of food. Travelers brought books, Bibles, trail guides, and writing quills, ink and paper for letters. About one person in 200 kept a diary. Then consider what they had for roads, maps, directions, and all those other things we take for granted today. Looking for something with a bit less fluff than the usual for keeping the mind exercised this summer without having to dip into the wallet? Take a look at the U.S. Army Center of Military History. On Vietnam, the volumes include Military Communications: A Test for Technology and Engineers at War as well as everything from a history of the special forces to logistics to medical evacuation to social and general history material. Choose your war, from the Revolution to Iraq and you’ll find reading on about any military topic from unit histories to medal winner stories to global government and social issues. There’s enough good stuff to find your own gems. Lifehacker reports that the Consumer Reports’ Mosquito Repellent Rankings Are Now Available for Free. It’s been a rather wet spring in NW NV and that means not only a lot of weeds but also a lot of bugs, including mosquitoes. A decent repellent can make for a much more comfortable outing. Bert Gildhart is a nature photographer. He recently ran across on ugly situation coming to the conclusion that Barking Dogs Not Compatible with Organ Pipe’s Sounds of Silence. The event was precipitated by a confrontation I had with two sets of campers parked adjacent to us who had barking dogs. Barking was not confined to just a yip, rather it was sustained, and it occurred randomly throughout the day and into the evening. But the “evil” lady (her husband did not join her) in site 135 marched over and launched into me using every imaginable word she could muster up. She said her dog didn’t bark and that I was a so-and-so liar. I told her to leave and when she turned I told her to have a good day. She turned around and again started dropping her F bombs. Then she stomped off yelling that I was a F—— Nazi. I should note that for a number of years Janie and I traveled with a Malmut, which we trained not to bark, so it can be done! I should also note that about 50% of campers at Organ Pipe were traveling with dogs, but they, too, had apparently trained their dogs, for most pets did not engage in that horrible nonstop yip, yip, yip. The problem is that the obnoxious dog owners were probably fully aware of their pet’s behavior and its interference with fellow camper’s enjoyment of the campground yet they not only failed to consider this social impact but added to it by mounting an assault on anyone who would dare to complain. In doing so, they branded other dog owners and this hurts everyone and destroys the camaraderie that we can usually expect from the RV community. It is one thing to have your own problems. It is entirely another to foist them on your neighbors. And it compounds the issue when you assault anyone who dares to object to your nuisance. Yes Gildhart could have moved on but so could have the obnoxious dog owners. The context indicates that perhaps the dog owners should have moved to camp in a dog kennel for a better match to their circumstances. Be considerate of both your neighbor and the environment. Leave both in better condition when you leave than when you arrived. Solar lights are a great addition to our off grid rally sites. Lights that need electricity are used for our infrequent rallies at places with hookups. Creativity is also evident in the way we string up lights and the methods for holding stake lights upright on hard ground. Now to come up with excuses and rationales about why anyone would want to light up the campground. Identify the RV so you can find it when returning from an outhouse trip in the middle of the night? Marking hazards to help people about hitting them and possibly getting hurt? The reality is that the solar powered lights are low intensity illumination that provides decoration and utility for the camp. See the pictures and decide for yourself.